Congratulations to Digg, which announced that they’ve had a million accounts registered at at the site (at least ten of which are mine :-) ). 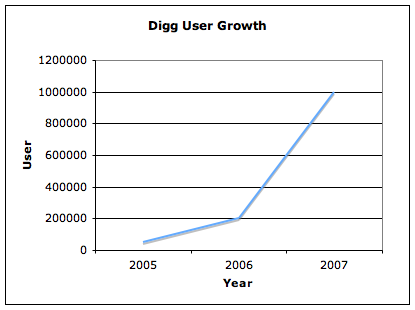 This is a 5x increase year over year – In March 2006 they had just 200,000 registered users. In March 2005, less than 50,000.